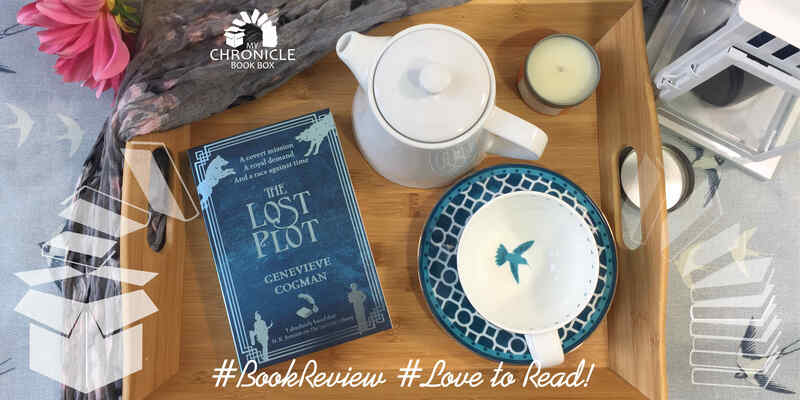 A My Chronicle Book Box review of The Lost Plot by Genevieve Cogman. The fourth in the The Invisible Library series is another fast-paced, page-turner! This installment focuses on the trouble caused by dragon politics spilling over into the world of humans and Librarians. I love Genevieve Cogman’s exciting Invisible Library adventures and have been looking forward to this book all year. In The Lost Plot we see Irene desperately trying to maintain the Libraries neutral position between the orderly dragons and the chaotic fae in a version of 1920's New York. Two dragon nobles in the Court of the Queen of the Southern Isles have been pitted against each other in a contest for a senior position in the Queen’s court. This is a highly usual method of selection and they have been tasked with finding a particular book and delivering it to Queen Ya Yu and the deadline is quickly approaching. There are strict rules to adhere to but at least one of the dragons has broken the rules and enlisted the services of a Librarian. This is also against the Library’s rules in place to ensure their neutrality and Irene is sent in to investigate and resolve the problem. It is made clear to Irene that should she fail to rescue the situation then she will be cut loose and blamed for the greater good of the balance, the Library and its other Librarians. No pressure then. There is also the added complication that Irene’s apprentice Librarian, Kai, is also a dragon prince. As their relationship skirts very close to the line of what is allowable by both the dragons and the Library it could, very easily, be used against Irene as further evidence of collusion. Genevieve combines dragons, politics, prohibition, mobsters, wolves and more in this great, action-packed read. She takes full advantage of the Library’s ability to transport a Librarian to any possible alternate world to set this in 1920’s New York, with a twist. It is a lot of fun and I read it very quickly, unable to put it down. Lovers of the series will also enjoy this installment but it is more stand alone than previous books so don’t worry about diving straight in with this one! In a 1920s-esque America, Prohibition is in force, fedoras, flapper dresses and tommy guns are in fashion, and intrigue is afoot. Intrepid Librarians Irene and Kai find themselves caught in the middle of a dragon vs dragon contest. It seems a young librarian has become tangled in this conflict, and if they can’t extricate him there could be serious political repercussions for the mysterious Library. And, as the balance of power across mighty factions hangs in the balance, this could even trigger war. ← Best value subscription book box?